Top five Arsenal Goalkeepers of all time. most of them are from England and are from last century. Seaman tops the list. Goalkeeper is the most important part of a team, he boosts player's confidence from the back and control the defence line, goalkeeper is the only player who watch the game of every player on the field. In this article i am discussing top goalkeepers in the history of Arsenal. Rankings are based on performance, number of matches played, trophies won and etc. Here are the five top goalkeepers of Arsenal. Moss is remembered by all Arsenal supporters because of the goal he scored. The goals was scored in a 2-0 win against Everton at Goodison Park which made Arsenal the league winners. That goal was not scored from the keeper position that time he was playing as a left winger due to the shoulder injury he suffered earlier in that game. The Englishman played 143 games for the London side. He died on 7th February 1970 at the age of 60. The player who was born on 30th October 1941 in England is on number four. The 72-year-old former Gunner played 308 games out of which he managed 125 clean sheets. He won First Division and FA Cup during his eleven years at Arsenal. Unbeaten season is a big honour for any club or a player and Lehmann was part of that season in which Arsenal were unbeaten. The German goalkeeper spent five seasons in which he played 200 games for Arsenal. Premier League and FA Cup are the big honours he won at Arsenal. Arsenal signed him from a local Welsh club in 1949 after which Kelsey replaced George Swindon and remained the number one keeper for more than eight years. He was the only keeper who used to rub his gloves with a bubble gum to get a better grip. He played 327 games for Arsenal in 14 years of stay in London. Another English player who made 405 appearances during his 13 years of stay at Arsenal. He was transferred to Manchester City before that unbeaten season. His big honours are three league titles, 4 FA Cups and a League Cup. 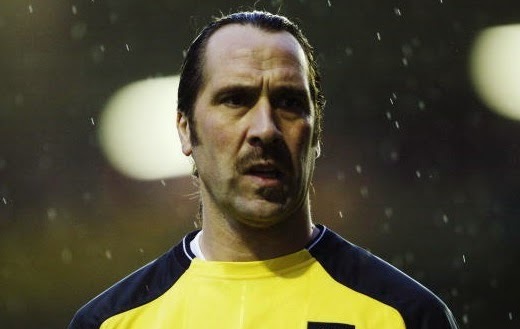 Seaman is the second most capped goalkeeper for England with 75 caps.